School holidays. The kids are home, sitting on their phones, tablets and televisions. 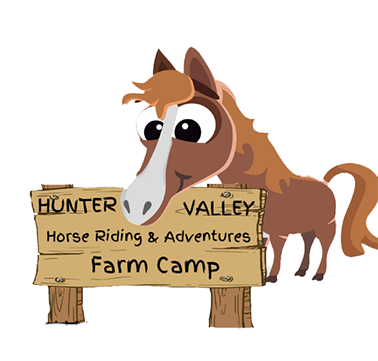 Hunter Valley Horse Riding and Adventures brings you……Farm Camp. 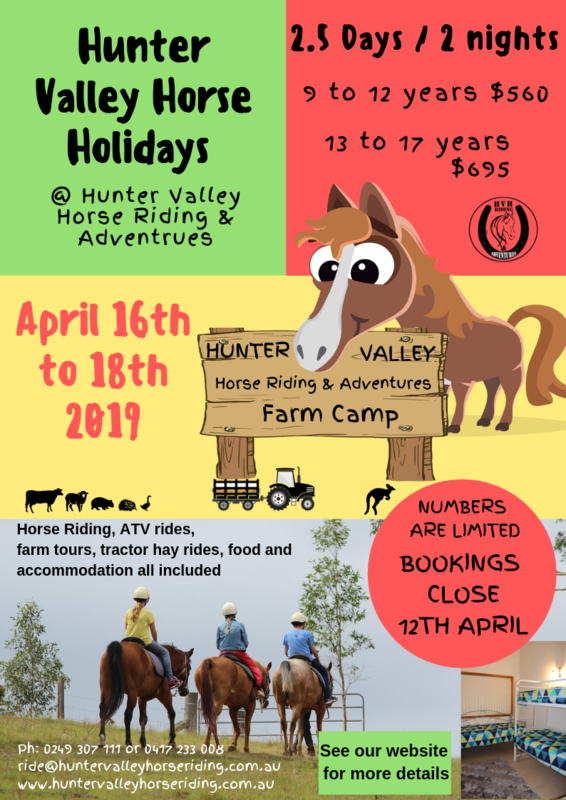 2 nights and 2.5 days of horse riding, hay rides, night tours and more. Our camps cater to children from 9 to 17 years of age, with packages suited to individual age groups. See below for details on each camp, dates, and how to book. Staying in villa accommodation, farm camp gives kids a taste of everything. Everyday they will experience long trail rides, tractor hay rides, feeding the animals, night spotlighting experiences, hikes up the mountain and more. Both age groups get an opportunity to experience all activities, with the older group having slightly longer rides.